WILDFIRE was a British Heavy Metal (NWOBHM) from London, England. This band was active from 1982 until 1985, during this period they released two official-full length albums (and two single’s): “Brute Force And Ignorance” in 1983, while “Summer Lightning” was released in 1984. This entry was posted in Heavy Metal, NWOBHM, Vinyl Records and tagged NWOBHM, Wildfire on March 14, 2019 by vinylmeister. 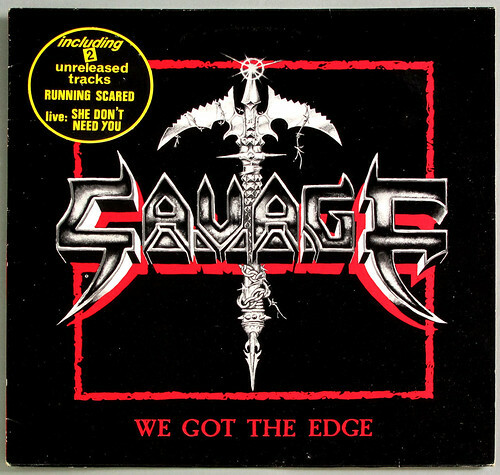 Savage is a British Heavy Metal band (NWOBHM) from Mansfield, England and mainly active from 1983 until 1986. During this period they released three official recordings: “Loose ‘n’ Lethal”, “We Got The Edge”, “Hyperactive”. This entry was posted in Heavy Metal, NWOBHM, Vinyl Records and tagged NWOBHM, Savage on February 12, 2019 by vinylmeister. 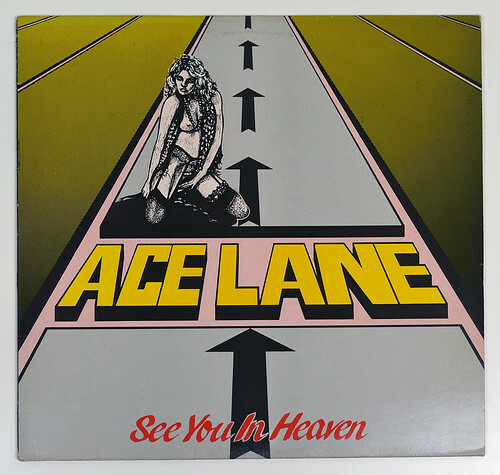 “See You In Heaven” is the first and only album released by the British Heavy Metal (NWOBHM) band “Ace Lane”. This album is the EXPULSION release which is the very first release (later this album was re-issued on the Mausoleum and RoadrunneR Record labels. This entry was posted in Heavy Metal, NWOBHM, Rock Music and tagged Ace Lane, NWOBHM on January 17, 2019 by vinylmeister. Savage is a British Heavy Metal band (NWOBHM) from Mansfield, England and mainly active from 1983 until 1986. During this period they released three official recordings: Loose ‘n’ Lethal, We Got The Edge, Hyperactive. This entry was posted in NWOBHM on January 7, 2019 by vinylmeister. 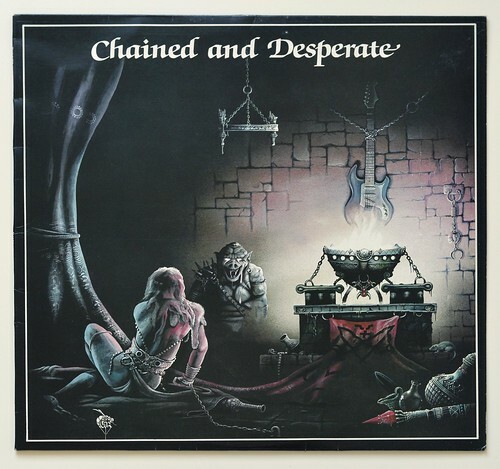 “Chained and Desperate” by the British Heavy Metal (NWOBHM) “Chateaux” is their first official full-length album and was released in 1984 on Ebony Records. This album has produced by “Darryl Johnston” the owner of “Ebony Records”. Album cover artwork was done by “Garry Sharpe” who has also worked on album covers for Grim Reaper, Savage, Fast Kutz, and many others. This entry was posted in NWOBHM and tagged Chateaux on January 6, 2019 by vinylmeister.